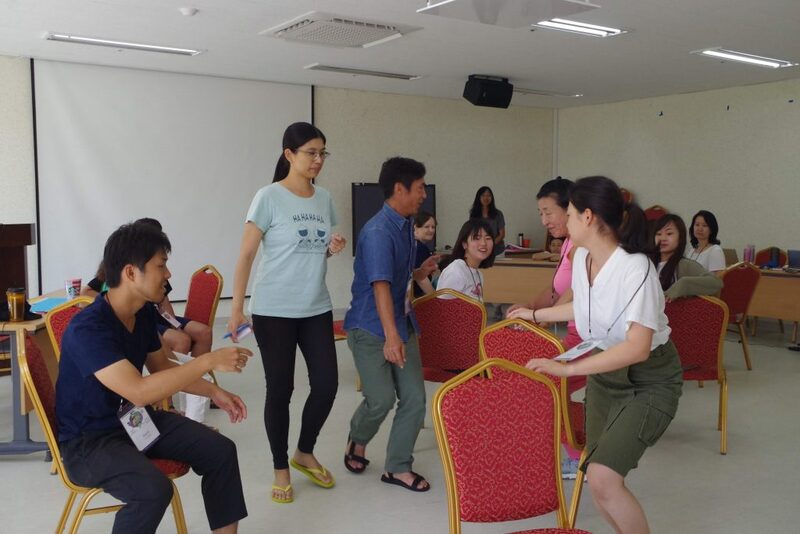 The Summer Peacebuilding Training is hosted in a different part of Northeast Asia each August. If you’re interested in joining, please read about the courses and facilitators. The application period is from May to June each year. Please apply! We welcome participants from all parts of Northeast Asia, and beyond. We will begin accepting applications for the 2019 NARPI training starting April 30th 2019. 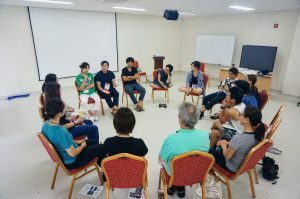 This content-based course is designed for participants at novice and low intermediate proficiency levels in English who wish to build their English language skills to interact in international peacebuilding settings, including at NARPI. The course will focus on English expressions, vocabulary and strategies for dialogue, building relationships, negotiating meaning, expressing opinions, discussing controversial topics, building intercultural understanding and other language skills essential for peacebuilding study and work. We will also explore ways in which English language learning and communication can contribute to peacebuilding work in Northeast Asia. 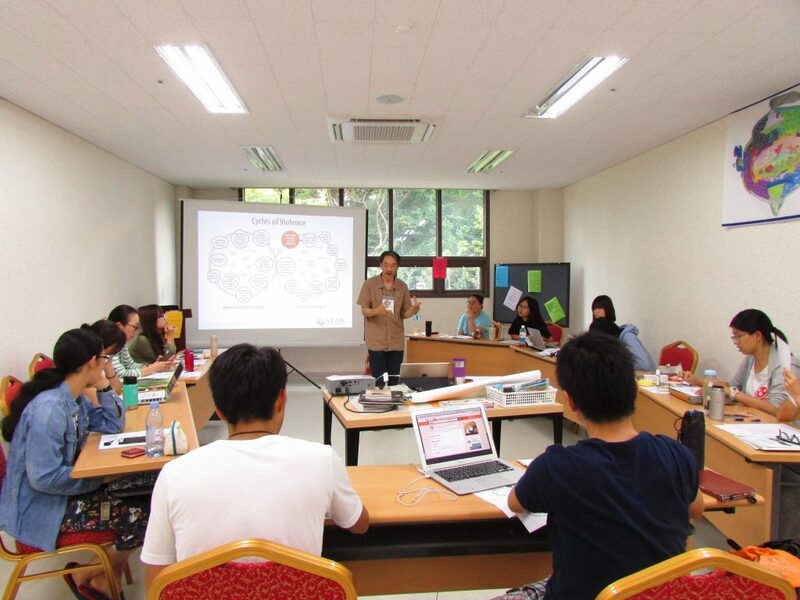 The goal of the class is to empower participants as multilingual speakers in their English language skills to be able to engage fully in all aspects of the NARPI experience and to use their English skills to further peacebuilding efforts. This course will provide a framework knowledge of the peace and conflict studies to those who need introductory provision to the field. It will focus on three major terms of the field: conflict, peace, and violence. The participants will work on defining and understanding these terms, applying them to our local and regional contexts with specific issues and cases. 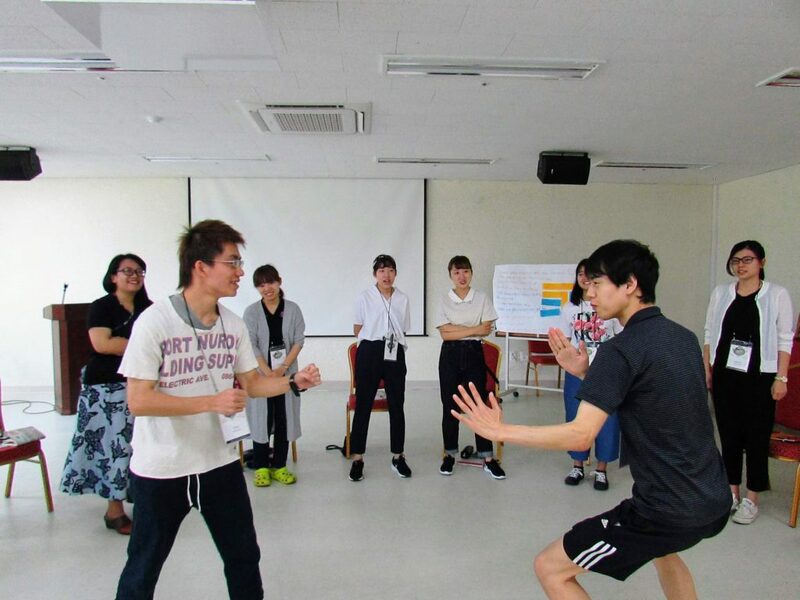 Throughout the course, sessions are composed with various ways of active learning, such as group works, role plays, and communication skills exercises. Further inputs will be provided by the resource persons and in collaboration with other courses. 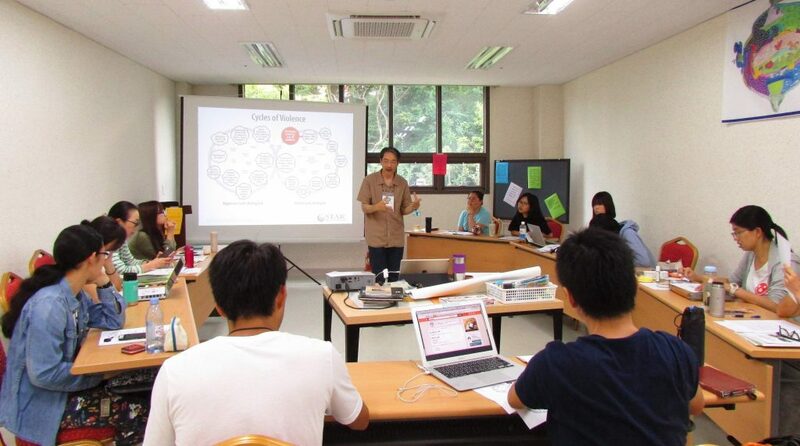 Participants too are expected to contribute to the course as resources to each other by sharing their knowledge, experience, and reflection in class activities. The course seeks to introduce the participants to the fundamental knowledge base, skills and value orientations of peace education. It is intended for educators and trainers working in the formal, nonformal and informal sectors. The course will use a holistic framework aimed at cultivating peaceable mindsets, attitudes, behaviors, structures, and cultures in educational settings, which will include topics such as comprehensive views on addressing conflict, restorative justice approaches to discipline in schools, and creating cultures of peace with administration, teachers, students, parents, and community. It will also engage the participants in a learning process that is consistent with the principles of peace, valuing the culture and identity of participants, to demonstrate that content and pedagogy should form one integral whole. Both the course content and process can be easily adaptable to the local contexts of participants. Requirement: This course is for individuals who have: 1. basic knowledge of conflict transformation and peacebuilding, 2. experience as a trainer, or a desire to work as a trainer in the future, and 3. experience in participation of NARPI courses in the past. The Trainer’s Training workshop will take the participant through the complete process of preparing and carrying out a peacebuilding workshop and provide the necessary tools for planning, designing, and conducting effective trainings. It will focus on the “how to” of designing, delivering, and evaluating peacebuilding training, as well as the development of a systematic approach to peacebuilding and conflict transformation education. Participants will have the opportunity to put their learning into practice by preparing an actual model for a peacebuilding training. The participatory workshop is going to be explored together with co-facilitators and participants by mutually sharing experiences and insights. In addition, participants would be asked to facilitate small groups for evening events or reflection sessions during NARPI training. The course will utilize a broad range of teaching methods from small groups, experiential activities, lectures, to video resources. Restorative justice (RJ) is a new paradigm on how to make things right when wrongdoings have happened. It sees justice as not merely punishing wrongdoers, but ensuring that the voice of victims, offenders, and communities are heard and their needs are met. This course first aims to provide a basic knowledge of RJ with some specific tools for its practice. Specific cases of implementation in Korea, Japan and other contexts will be introduced. The course will also make enough room for exploring the historical conflicts from restorative perspective. The participants will be encouraged to revisit the specific issues of peacebuilding in their contexts from restorative viewpoints, as we seek Asian models of RJ practice. The purpose of this workshop is to examine the ways generational traumas live in the body, are passed on generationally, and can be healed to optimize peacemaking. Through guided meditations, expressive arts, and other active learning activities participants will explore how generational traumas consciously and unconsciously interfere with peacemaking even under the best conditions. The workshop will also review how a new understanding about the body can optimize other peacemaking efforts such as “truth and reconciliation,” restorative justice, and non-violent communication. This course will explore the paths to face and overcome painful collective memory together among Northeast Asians. It also explores how grassroots creativity can impact to make peace in spaces like museums. The course contents include understanding of diversified collective memory of pain and creation of structures of “history.” It also covers tools and modes of expression of creativity for peace and roles of the media such as the arts and communication to mobilize people to create culture of peace in the Northeast Asian community. How do we educate and exhibit painful history in order to fully understand and deepen the meanings of peace in the region? 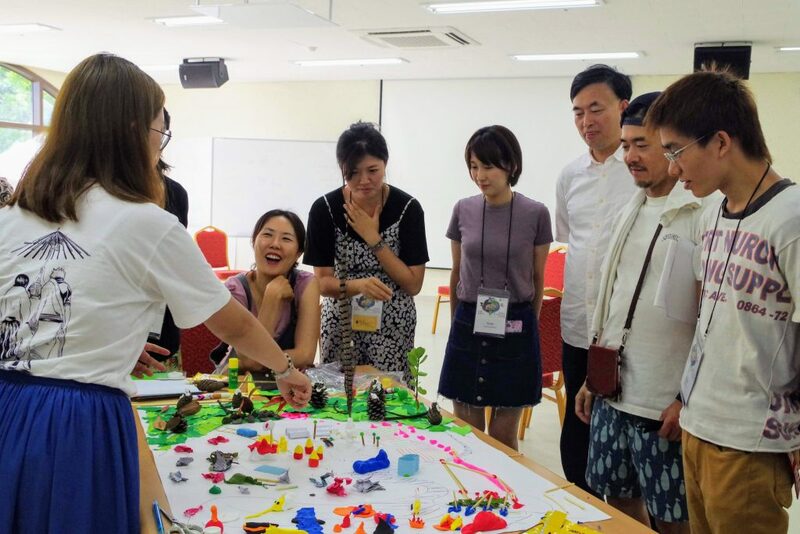 The course will be meaningful and fruitful by each participant bringing, sharing and exchanging creativity for peace and passion for peaceful coexistence of Northeast Asia. We are open to anyone who wishes to overcome historical peacelessness, who dreams to create peaceful coexistence of Asia and beyond, and who simply enjoys creativity for peace. In this class, we will explore three different aspects of community. First, we will look at “group dynamics” as a foundational level. Every group forms their ‘group dynamic’ and creates their own rules, structures and patterns of their systems. Some dynamics are healthy, but some are not. 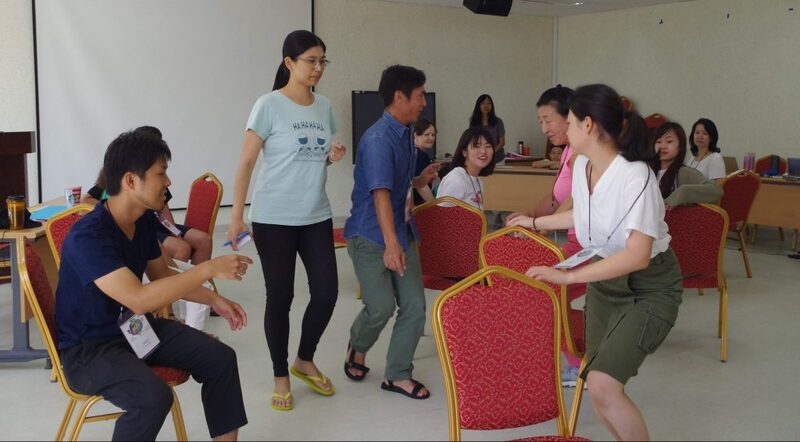 In this session, participants will increase their understanding of group dynamics, and how to emphasize healthy dynamics and reduce unhealthy ones. Second, we will learn about making healthy organizations by learning how to sense and analyze organizational dynamics and culture, followed by how to leverage healthy organizational culture. This will be focused on workplace or learning community (i.e. university) contexts, depending on participants. Third, we will learn about different approaches to build healthy community at local and global levels. We will then apply these approaches to our own community and make action plans for beyond the course timeline. We will explore different types of community forms and examples, and we will learn from their structure, communication and especially their way to solve conflicts. NARPI provides a three-day field trip (usually between Sessions 1 and 2) where participants visit sites and meet people that have experienced historical, political, social and cultural conflict and peace. The field trip takes place in the country where NARPI is held. 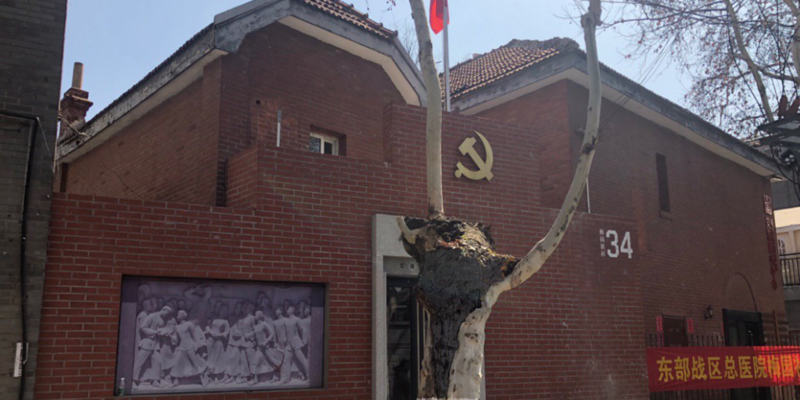 During the first day of the field trip participants will visit a Private Ani-War Museum, and the Comfort Women Museum, followed by debriefing and Orientation on Nanjing Massacre Memorial Hall. 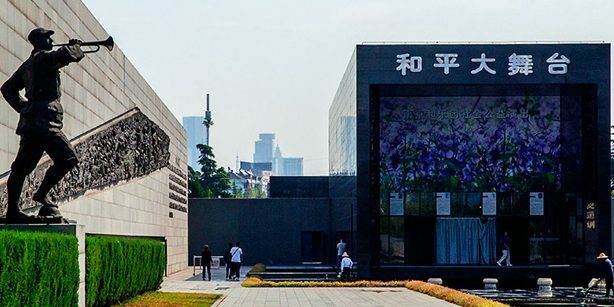 On the second day participants will see the Nanjing Massacre Memorial Hall (which includes: the end of WWII ceremony, the museum tour, lunch at the museum and group dialogue with Nanjing citizens). Then move on to Confucius Temple Nanjing, followed by dinner and evening sightseeing & shopping. 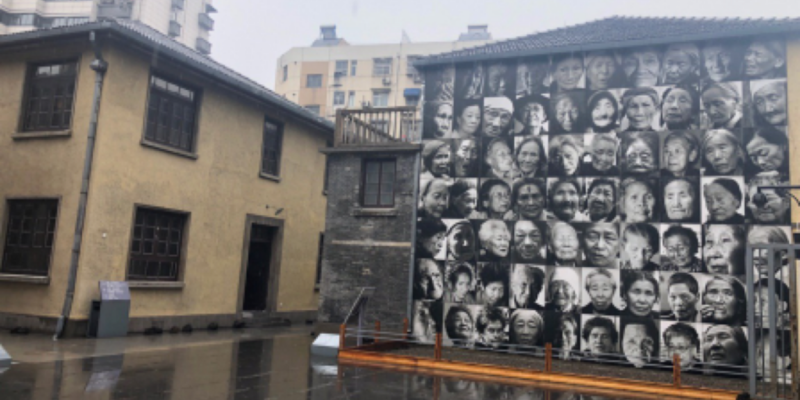 Finally, during the third day participants will visit the Mei Yuan Community Center (which includes: Community service project in old downtown of Nanjing, Cultural reservation area from 1920-40s, and learning about the New urban development initiated by the young generation). Lastly, participants will have dinner and free time in downtown where you can see the Nanjing Museum, Nanjing Art Museum, Presidential Palace, or walk around Xuanwu Lake Park. At NARPI trainings, meaningful sharing and learning continues after classes have finished each day. Some evening events are planned by the hosting group, to introduce more about the historical, cultural or social issues of the hosting area. Most evening events, though, are planned by participants, as a way to share their interests or experiences with others, through presentations, videos and discussion. In addition, there is a Culture and Talent Night in Week 2, during which time participants and facilitators present their cultures through song, dance, games, food, photos, etc. Cheryl Woelk is a language instructor and a peace educator. She has worked in various cultural settings, including China, South Korea, East Timor, and with newcomer communities and university language programs in the US and Canada. She currently serves as Peace Education Consultant with Collective Joy and coordinates the Language for Peace project, integrating language and peace education curriculum. She grew up in Saskatchewan, Canada, and she holds a BA in English, a certificate in TESOL, an MA in Education from Eastern Mennonite University, and a graduate certificate in peacebuilding from EMU's Center for Justice and Peacebuilding. Cheryl lives in Seoul, South Korea with her spouse and two sons. Kathy R. Matsui, Ph.D. is professor at the Department of Global Citizenship Studies, Seisen University (Tokyo, Japan) and teaches courses on conflict resolution and peace related subjects. She received doctorate degree from Leadership Studies Program, Gonzaga University, Spokane, Washington. Her research concerns are development of capacities for conflict resolution and reconciliation. She works with peace researchers and educators internationally in International Institute on Peace Education and Global Partnership for Prevention of Armed Conflict. As a peace educator, she focuses her activities on Northeast Asia Regional Peacebuilding Institute (NARPI) and Mindanao Peacebuilding Institute (MPI). She is currently an advisory board member for Hague Appeal for Peace, Global Campaign for Peace Education. She is also active in her participation in inter-religious dialogue and cooperation for world peace as a member of the Women's Executive Committee, Peace Research Institute and the Reconciliation and Education Task Force of World Conference of Religions for Peace (WCRP). Somatic Healer and Consultant, and former Chair of the Board of Directors for the Somatic Experiencing Trauma Institute. Born and raised in the United States Tommy, M.S. Counseling, retired from Stanford University and a career in dean levels positions in multicultural affairs. He has also been the Director of Diversity and Inclusion, a senior cabinet position at Naropa University, a unique school founded by a former Buddhist monk. He holds certificates as a Somatic Experiencing Practitioner from Somatic Experiencing Trauma Institute and as a Compassion Cultivation Teacher from the Center for Compassion, Altruism, Research, and Education (C-CARE) at Stanford University Medical School. Committed to teaching how changing the self can change the world, he focuses his current work on the cultivation of compassion, courage, and conscience and healing generational trauma to create permanent peace. Ryozo Teruoka graduated from University of Birmingham with a Master of Social Science in Russian and East European Studies and from European University Center for Peace Studies with a Master of Arts in Peace and Conflict Studies. During his student period, his focus area of study was nationalism and inter-ethnic conflicts in former Yugoslav states and former USSR states. After completing his study, he began to work in humanitarian NGOs conducting a mobile clinic project in Myanmar/Burma, vocational training in Kosovo/a and workshop camps aiming at multi-ethnic coexistence in Kosovo/a. He currently works as a researcher at Kawasaki Peace Museum, as well as teaching in universities and providing peace education workshops to elementary schools, junior-high schools, and high schools. In these years, his main area of interest is to develop a culture of coexistence in Asia/Eurasia and to reduce ethno-centrism/racism in Japan. Expressive Arts Therapist, California Licensed Marriage and Family Therapist, Lecturer at Miyazaki International College, Miyazaki, Japan. Aya Kasai, Ph.D. studied counseling psychology with a concentration in expressive arts therapy at California Institute of Integral Studies. She has also completed trauma training at Somatic Experiencing Trauma Institute. Aya works as a therapist in private practice, schools and hospitals, and conducts workshops and teaches expressive arts therapy. Having been born and raised in Hiroshima, Japan and having studied and worked in multiple countries she has special interests in cross-cultural issues and how historical and collective trauma affects individuals and communities. Committed to promoting personal and social healing, Aya collaborates with therapists, educators, artists and peace workers and uses creative arts to facilitate therapeutic groups that enhance community building and dialogue. Gayeon Kim studied Theology and Politics in undergraduate degree in South Korea and completed her M.A in Conflict Transformation at Center for Justice and Peacebuilding from Eastern Mennonite University in the US. She translated two books from peacebuilding sector into Korean; the Little Book of Strategic Peacebuilding by Lisa Schirch(2014) and Moral Imagination by John Paul Lederach(2016). By managing ‘Korea Peacebuilders’ Network’ page on Facebook she is attempting to expand peacebuilding networks through online platforms. Currently, Gayeon envisions peacebuilding in South Korean society under five keywords; conflict transformation, peace journalism, media, communication, and design. Follow these steps to apply! (resume, recommendation letter, passport copy). If you are from mainland China and/or unable to open the link, please complete the application via this word document and email to apply@narpi.net. Submit by June 15. After receiving the acceptance letter and billing statement, transfer your payment to the NARPI bank account. Purchase direct flight ticket to Jeju, or make other plans for transportation. After receiving the pre-course readings and field trip readings by email, start studying to prepare for your courses and the trip. Join the Summer Training and enjoy two weeks of networking, sharing and learning. The venue for the 2019 NARPI training is the Nanjing University Xianlin Campus. Courses will be held in the Nanjing University Make Place (canteen #11 building). Lunch and dinner will be offered on the 1st floor of the Make Place building with a selection of dishes for participants to choose from. Breakfast will be offered in the Nanjing University International Conference Center where facilitators and participants will be staying during the training. *Note: Participants are welcome to join for one or both weeks. All participants are encouraged to join the field trip. 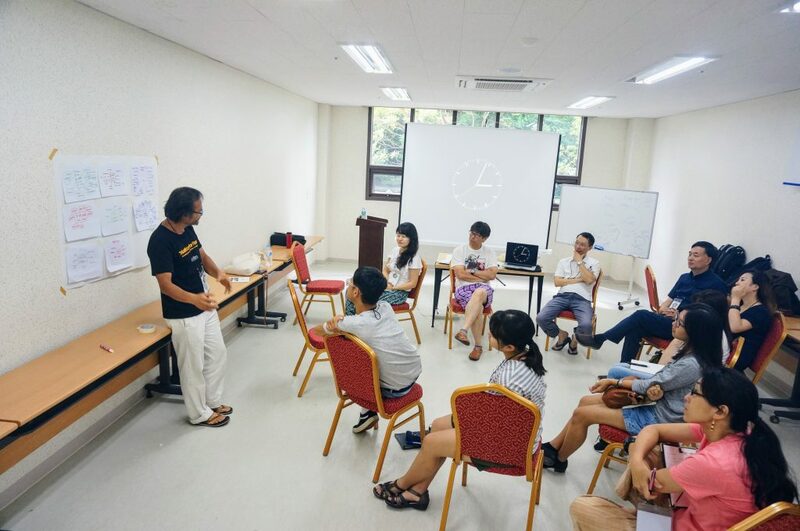 Recognizing the high cost of attending NARPI, a limited number of partial NARPI scholarships may be offered on a needs basis, to participants with a demonstrable commitment to peacework in the Northeast Asia region. Contact the administration team to request a scholarship application form: apply@narpi.net. Participants may withdraw up to two weeks before the training begins with a full refund, minus a 10% non-refundable process fee (for administration costs). No refund will be issued for a cancellation two weeks or less before the beginning of the training. Some level of experience in peacebuilding work or study, or passion for peacebuilding. Commitment to share what you learn at NARPI with your organization or community. English ability sufficient to understand and participate in workshops conducted in English.